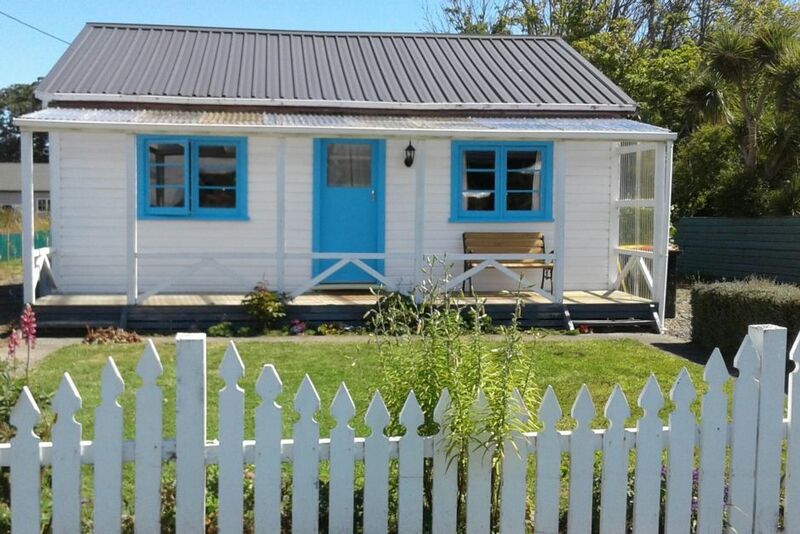 A cute and cosy cottage that oozes the character of the original Kiwi crib. On a quiet friendly street a block down from the beach and with local cafe, Dairy/Takeaway and kids playground just a short stroll down the road. Come and enjoy our family crib to relax, unwind and enjoy all that Riverton and its surrounds has to offer. Fishing, surfing, bushwalks, gemstone hunting, bird spotting, local wildlife and chilling out. Verandah with seating to enjoy morning sun and sideporch with table and chairs and bbq for outdoor dining. Great location. Cozy batch with everything you need. This spacious and comfortable pet friendly crib would be perfect for the whole family. The crib is amazingly spacious, has ample off street parking and a huge flat section at the back. It has the latest appliances, a fantastic shower, great heating and comfortable beds. It is a stones throw to the beach. What more could you want? Enjoyed our stay. So quaint. Just what was needed for our time in Riverton. Just perfect. Very clean and tidy and had everything we needed. Comfortable beds, lovely backyard, great for kids and just a short walk to the beach. Being able to have our dog with us sealed the deal. Would definitely stay again. It may be old but everything works. It is not your flash modern cottage but if you want to experience a real traditional old fashioned Kiwi holiday house this is for you. Close to the beach and a short drive into town.